The long-toed tree frog earned its name from its abnormally long fingers and toes with reduced webbing. 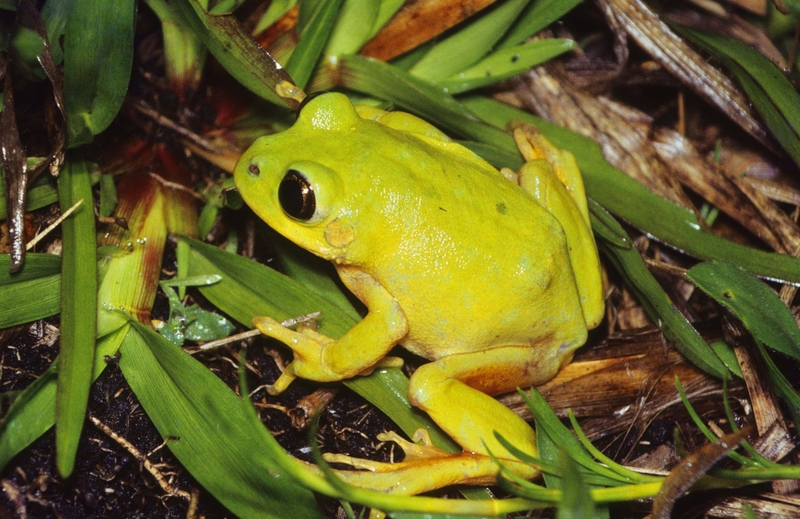 A rather large leptopelis, the long-toed tree frog sports a rough, green dorsum and a creamy white underside. 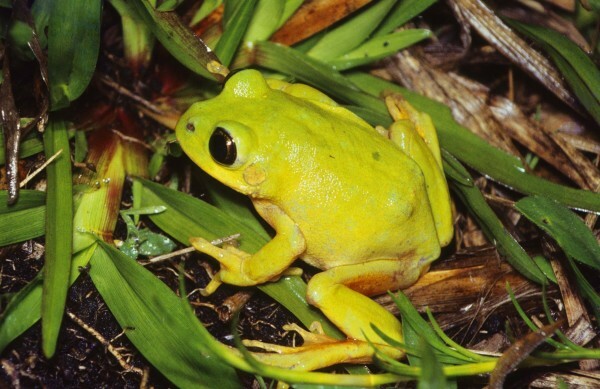 Found in south-eastern South Africa, in the southern KwaZulu-Natal Province highlands, this frog makes its home in grasslands and marshes, keeping away from trees. Due to their small range and the declining quality of their habitat, this frog’s population is decreasing in South Africa and sightings are rare. These threats have caused the long-toed tree frog to be listed as Endangered by the IUCN. This entry was posted in Cute Frog of the Week and tagged Leptopelis xenodactylus, Long-toed tree frog by admin. Bookmark the permalink.